On Scene: Fire Cams Now Come with SD Cards! 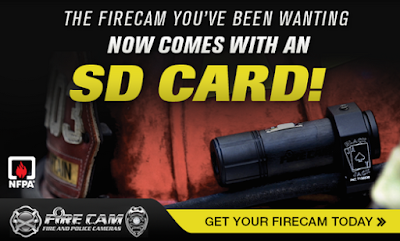 Fire Cams Now Come with SD Cards! Fire Cam is a firefighter favorite because they were built by firefighters, for firefighters, and specifically designed for interior firefighting conditions. Now, your favorite helmet cameras also come with an SD Card! New to helmet cameras or just Fire Cam? Watch the video below to get an explanation of the operation process*. For more information and to choose which camera will work best for you, visit our website.